The Latest In Audio And Video For Your Daily Driver Or Custom Ride. With technology improving every year, it seems that the only way to keep up with things is to attend trade shows and conventions. After attending the SEMA and CES events, we were able to see some of the newest products and latest trends in the 12-volt market. The most recent shows were no different as the current audio industry technology is surpassing some OEM applications. In some cases, the A/V aftermarket world is getting together with the OEM manufacturers to produce decent-sounding systems that can be easily upgraded by the owner. Technology is ever-changing and the “cool factor” is ever-increasing. The one thing that will remain constant is our “gotta have it” mentality. Like a moth to the flame, we’re attracted to the latest pocket gadget. Car manufacturers know this and are starting to offer things like integrated solutions for your cell phone and MP3 player. The aftermarket is following suit with integration options for the new OEM radios-from Bluetooth technology to iPod integration. The aftermarket is constantly providing solutions for our “gotta have it” needs. CES (Consumer Electronic Show) 2007 in Las Vegas, Nevada, showed us quite a few technology leaders with menu-based transmitters, spread spectrum technology, Bluetooth integration and modular applications just to name a few. The original equipment manufacturers are working hard to offer the creature comforts that we desire, like remote start, auto window closure solutions and navigation and video options. To stay ahead of the game, the aftermarket has to stay cutting edge and keep the factory advancements at bay. 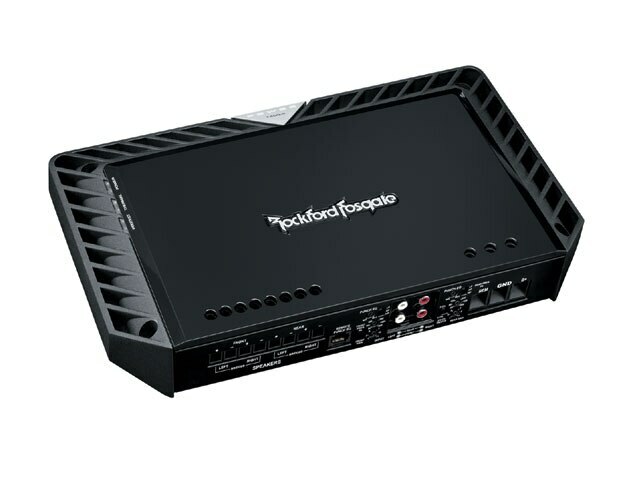 Cutting edge is the name of the game, and leading the way in full control is the new Rockford Fosgate 3SIXTY. The technology of the unit keeps getting better as it goes into it second generation of production. The unit offers 153 bands of equalization and signal manipulation, and is capable of summing and overcoming the OE inadequacies in order to provide a clean and precise audio output from a factory head unit to aftermarket amplification. 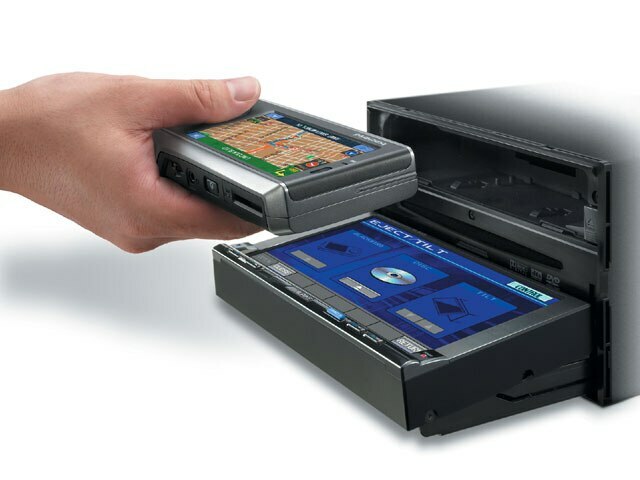 As for control, a Bluetooth wireless control option for the PALM OS offers full control with visual feedback. Also along the OE integration line, JL Audio made headlines a few years ago with its revolutionary CleanSweep, the solution for upgrading aftermarket-unfriendly factory supplied sound systems. 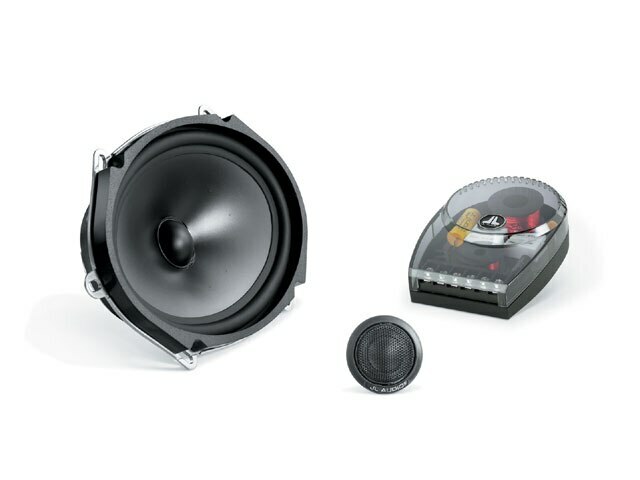 The CleanSweep CL441dsp that is in its third generation of production addresses this problem and is easily connected to the existing head unit to correct the factory system’s frequency response, permitting almost any integrated OEM audio system to serve as the source for a high-performance aftermarket sound system. This year, the CleanSweep line was expanded with the industry’s first product specifically engineered for signal summing, which is easily configured to merge two-way or three-way OEM signals before sending them to this CL441dsp for correction. 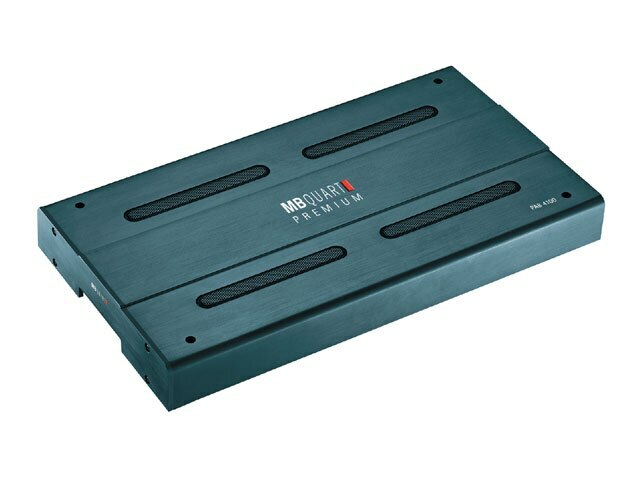 This makes it the perfect choice for integrating with “premium” OEM sound systems that do not present full-range audio signals. Manufacturers are bringing the high end to the people with moderately priced, but exceptional-sounding offerings in speakers and amplifiers. While the high end is still available for those who desire the best, the entry level is no longer a swap meet joke. Serious sound and reliable power are in, and the prices are right where you want them. For the power-hungry and bass-thirsty, many manufacturers are returning to the hey-day of monster power and offering subs that only the serious can appreciate and amplifiers that occupy just as much space. With both ends of the spectrum receiving ample attention, it just leads us to wonder what next year has in store. The manufacturers listened to the consumers as most car owners are tired of losing their trunk space. Manufacturers have developed shallow-mount speakers that are perfect for small spaces. When these speakers were developed they were very pricey, but have now been produced by a few manufacturers and made more economical for the average consumer. These shallow-mounts are packing some big power in a small package. 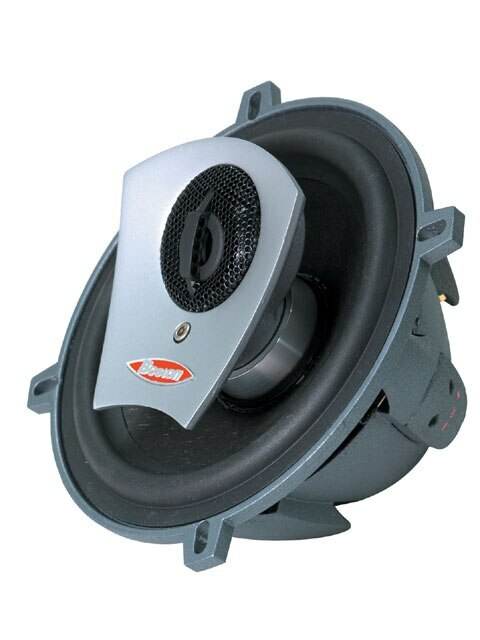 Other manufacturers like Alpine have developed woofers that are compact and use several magnets to put out some impressive bass for your classic ride. On the subject of satellites, it’s a good time to talk about XM Radio and Sirius technology. Now you can listen to your favorite type of music from coast to coast without having to hear commercials or change the station. If your radio is not equipped with a built-in receiver, you can add a receiver as they’re coming out with several types of universal adapters. Another fad that’s here to stay is the Apple iPod that allows you to download music and hear it anywhere you go. The latest iPods are available with 30 and 80 GB of memory space for music and video, which has become very popular. The integration of iPod technology can come from the small Shuffle or the more economical Nanos, which are good if you have a small music library that you want to bring with you. Microsoft launched their version of the mobile audio/video player named the Zune, which is trying to regain market share. Only time will tell how this product works as its competition is in its sixth generation of production. XM satellite radio has also developed a portable system that allows you to take your music anywhere, from your home to the car to the office. To sum up all of the latest technology in a few pages is difficult to do as the technology coming from today’s audio/video manufacturers surpasses yesterday’s technology by a wide margin. With so much new product out there, we hope that we can guide you with some information for your audio needs, from entry level car stereo to the more serious earth-shattering sound systems. Hopefully, our 2007 Audio/Video Buyer’s Guide can help you make the right choice for your custom vehicle. Cerwin-Vega’s V-Max 12 sub will be available in two versions: the V-Max 12.2 (with dual 2-ohm voice coils) and the V-Max 12.4 (with dual 4-ohm voice coils), allowing users to choose the version that works best with their amplifiers and their wiring preferences. And, of course, both versions pump out legendary Cerwin-Vega bass. To find a dealer near you, surf over to www.cerwin-vega.com. 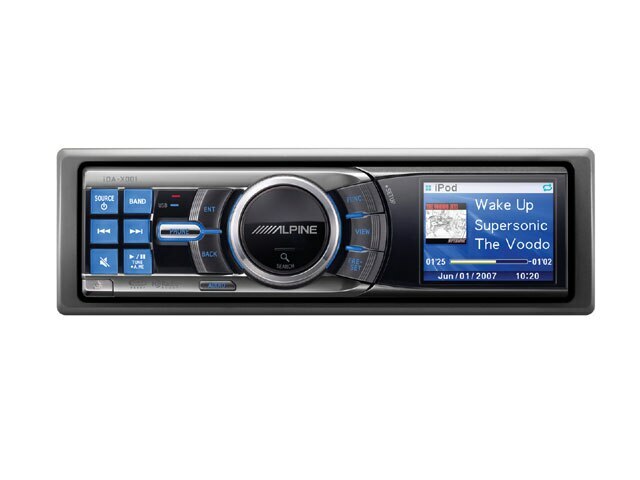 Alpine’s iD A-X001 will be sure to keep you rocking as its iPod technology will give you countless hours of music from your music library. To learn more about this and other Alpine products, log on to www.alpine-usa.com. Alpine’s PMD-B200 with IVA-W205 will make sure to get you where you need to go as its portable GPS can be removed and used out of its docking station. To learn more about this and other Alpine products, log on to www.alpine-usa.com. Alpine’s TMI-M990 multimedia player can handle most of today’s needs from navigation, DVD or iTunes, this unit will can handle it. To learn more about this and other Alpine products, log on to www.alpine-usa.com. Boston Acoustics’ G-series’ new 8-inch models join the 10- and 12-inch G1 subwoofers as the entry-level members of the acclaimed G-series lineup. Like all models in the G family, the 8-inch G108 is offered in both single and dual four-voice coil models. Find out more at www.bostonacoustics.com. Cerwin-Vega’s EXL and XL amplifiers use high-current MOSFET power supplies coupled with bipolar output transistors for superior signal control throughout the amplification process. Transparent thermal and overload protection circuits ensure that the amps are safeguarded to withstand the most demanding applications and conditions. To find a dealer near you, surf over to www.cerwin-vega.com. 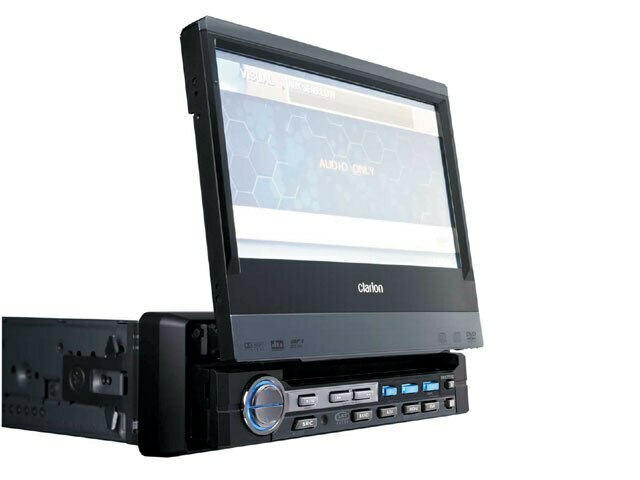 Clarion’s MAX675VD is a 2-DIN multimedia station that can do anything you want. Connect their HDD navigation system to help you find the way, or a 5.1-channel surround decoder for a sonic experience that rivals the best movie experience that you’ve ever had. The MAX675VD features Clarion’s benchmark iPod user interface and the ability to watch iPod video, too. To learn more about this and other Clarion products, log onto www.clarion.com. 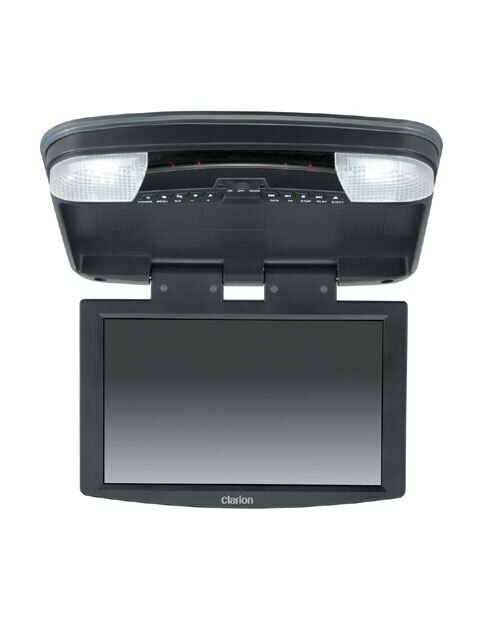 Clarion’s OHM1075VD overhead monitor combines all of the comforts of home in an overhead package. This monitor with a built-in DVD player is a good add-on for your SUV or vehicle that allows room to have an overhead monitor. To learn more about this and other Clarion products, log onto www.clarion.com. Alpine’s SPX-17pro is one of Alpine’s top components designed to give mid bass and clarity. To learn more about this and other Alpine products, log on to www.alpine-usa.com. 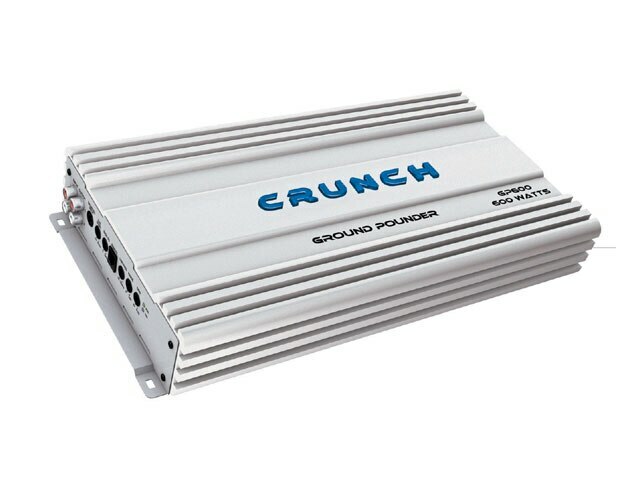 Crunch Ground Pounder Series amplifiers for 2007 feature a new heat sink design with large illuminated Crunch logo, improved low noise active crossovers, dual-core power supplies and rock-solid output devices. 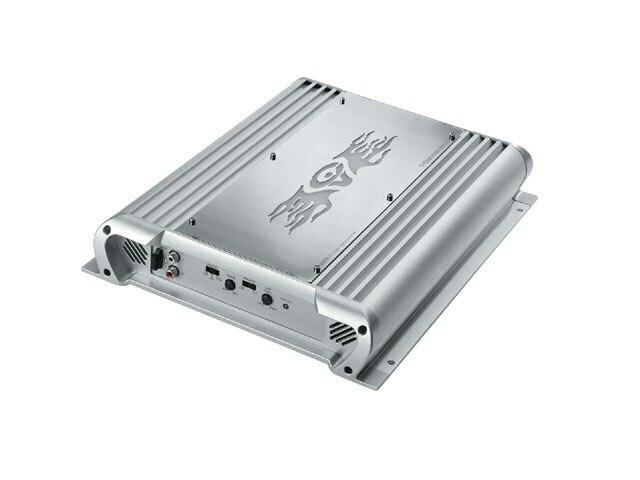 The Ground Pounder GP 3000D-Pro can be linked and synchronized with a second GP3000D-Pro, in a “master and slave” amp array to create a 6,000-watt single-channel power source. Find out more at at www.maxxsonics.com. 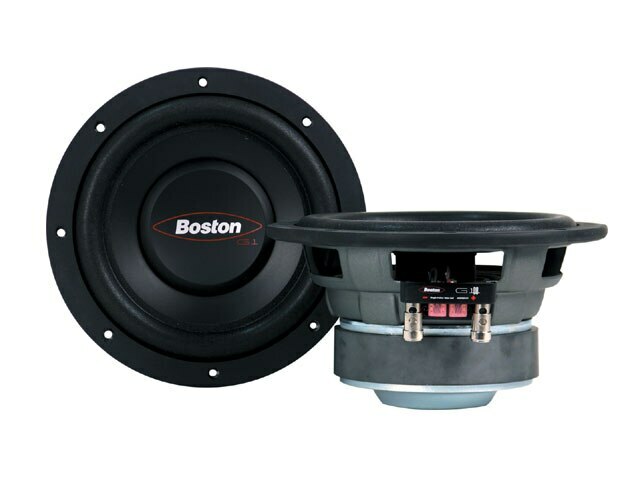 Boston Acoustics’ SPZ models, the SPZ60 (6.5-inch woofer) and SPZ50 (5.5-inch woofer), have an increase in maximum peak-to-peak driver excursion of 22mm, nearly 1 full inch. 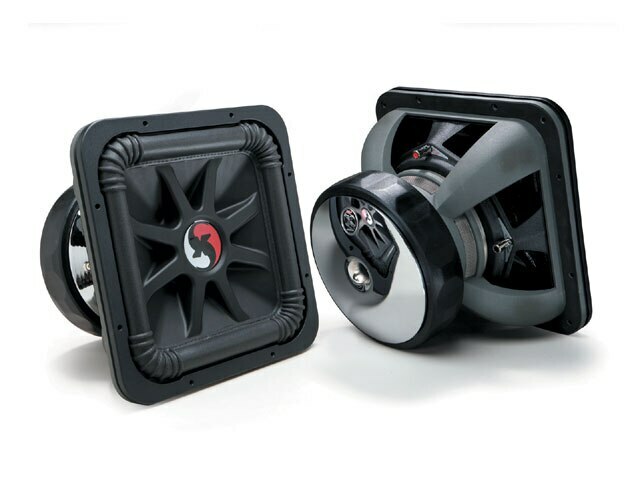 This translates to a significant increases in bass extension and dynamic potential, such that the SPZ50 and SPZ60 deliver the performance of much larger speakers even while retaining the ability for “drop-in” installation using factory locations in a wide variety of vehicles. Find out more at www.bostonacoustics.com. Directed Electronics’ transportable video system can play video iPods on its 10.2 high-definition panel or rip DVDs to the optional digital recorder in the car, the home or on the go. 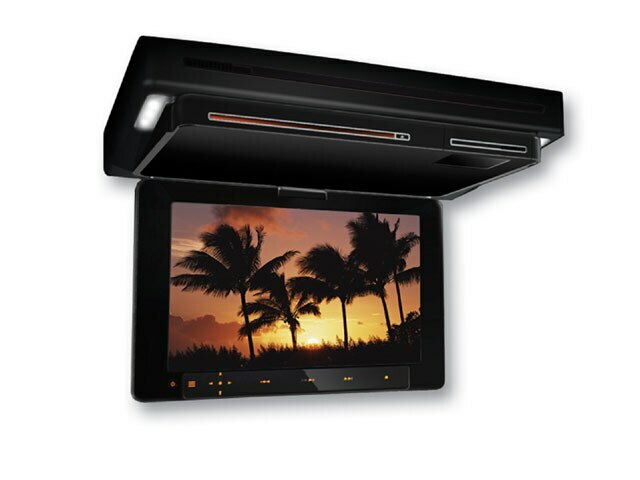 If you want to learn more about this mobile video system, you’re directed to www.directed.com. 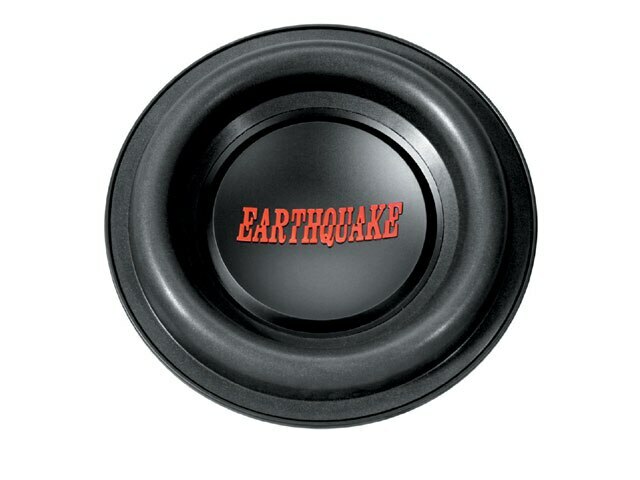 Earthquake’s DBX automotive subwoofer, claimed to be the industry’s best-selling sub, has been reborn as DBXI, and is now even better. Rock your world at www.earthquakesound.com. Clarion’s VRX775VD features a motorized 7-inch folding LCD so you can have full-sized entertainment in any vehicle. The VRX775VD evolves the capabilities of a DIN-sized source unit beyond your wildest dreams. Plug in your iPod or connect a satellite radio receiver for even more options. With a 24-bit D/A converter and six-channel pre-amp output with two-zone control, your dash is now the control center for your mobile theater experience. To learn more about this and other Clarion products, log onto www.clarion.com. Earthquake’s PH2000wd amplifier may look a bit deceiving, but they’re talking a double-stacked no-flack amplifier that weighs in at more than 47 pounds and measures in excess of 28 inches in length. 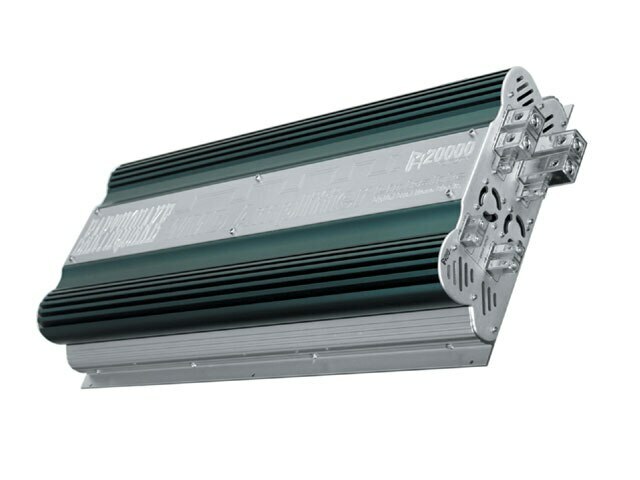 This beast is rated at 20,000 watts, but can easily dish out an unheard-of 24,000 watts. Rock your world at www.earthquakesound.com. Kenwood’s KAC-7203 two-channel amp is designed for stable low-impedance operation with power output of 250 watts X 2 into 2 ohms, or 170 watts into 4 ohms (500 watts bridged into one channel). It’s ideal for use as a full-range amplifier with variable high-pass and low-pass filters and includes Kenwood’s Bass Boost feature for extended low-frequency performance. 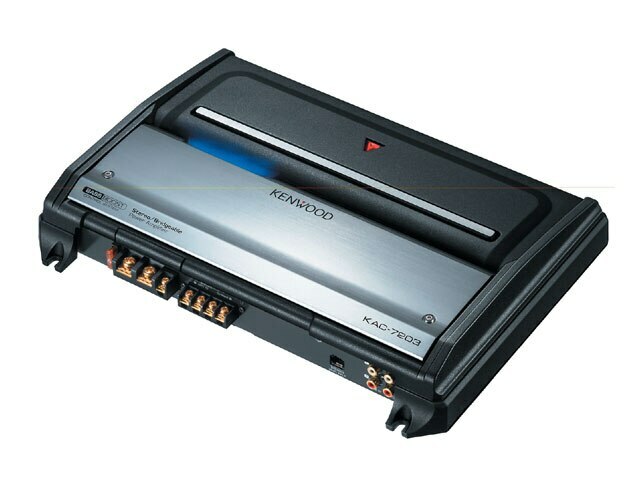 To learn more about this and other Kenwood products, log onto www.kenwoodusa.com. 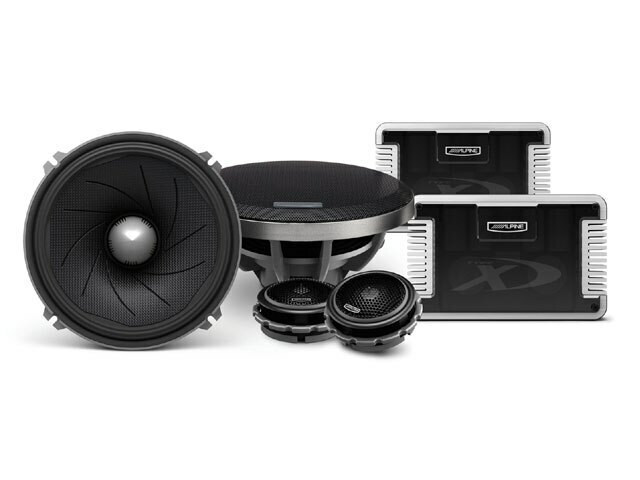 Focal amplifiers are available in a several combinations that will help your vehicle sound good. To learn more about Focal’s fine line amplifiers, focus in on www.focal-fr.com. 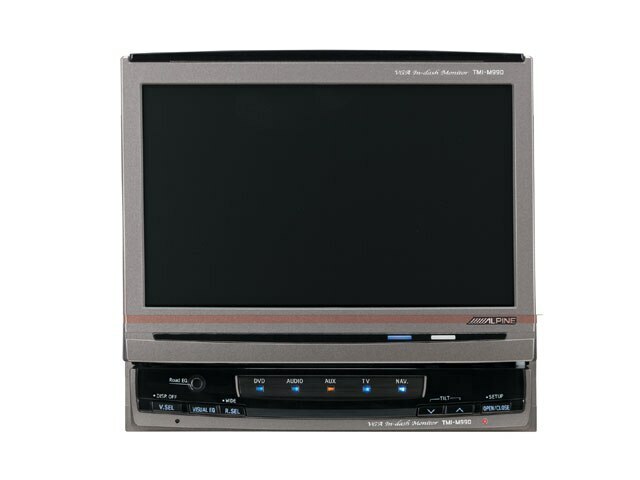 Kenwood’s KVT-819DVD features a 7-inch touch-screen video monitor and improved connectivity for external media devices and new playback format capabilities. The new models are Bluetooth ready and HD radio and satellite radio ready when used with optional external tuners, available from Kenwood. 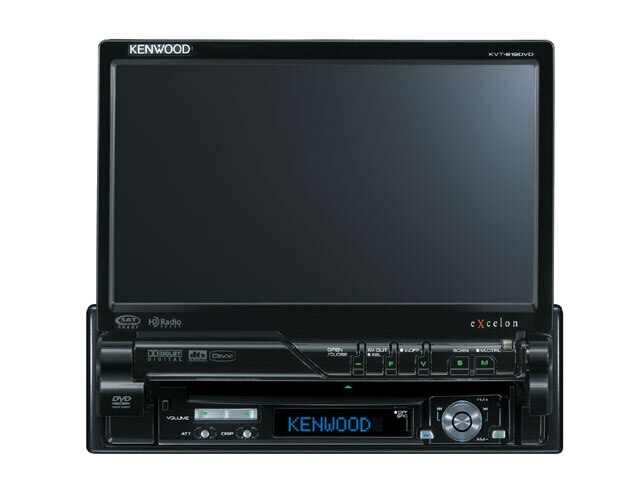 To learn more about this and other Kenwood products, log onto www.kenwoodusa.com. 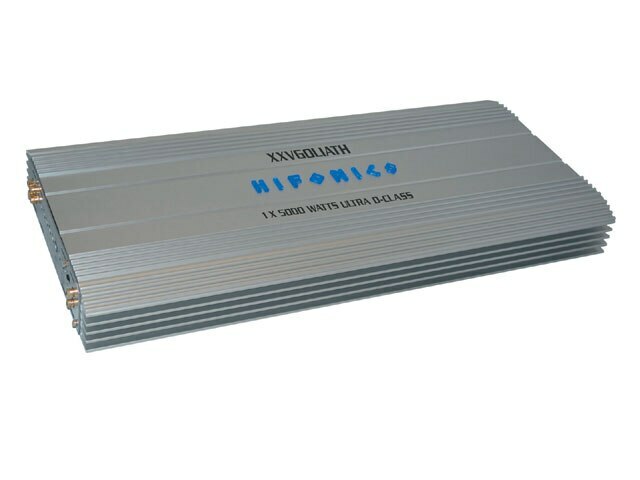 Hifonics debuts this super D-class amplifier. The new mono-block models range in power levels from 5,000 watts x 1 with improved sound quality, affordable high-power, head-turning cosmetics and active low-pass crossovers. Find out more at www.maxxsonics.com. JL Audio has introduced their CS three-component system models that are available in 5.25- and 6.50-inch sizes to fit most applications. 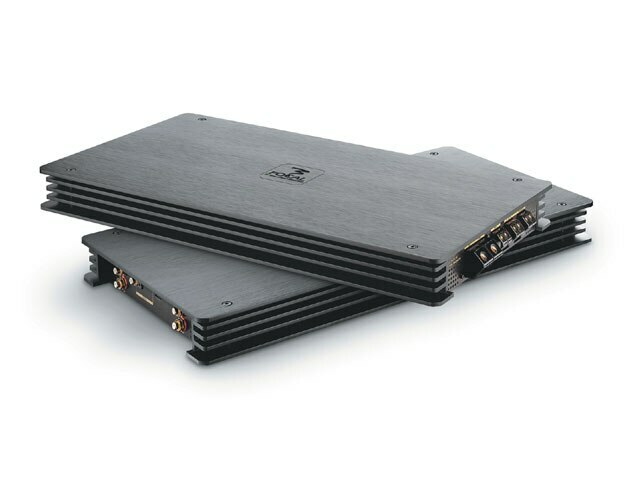 For more information, jump on www.jlaudio.com. Kicker’s CompVR subwoofer delivers high performance with a new ribbed Santoprene surround to give added strength at high excursion. An injection-molded cone totally eliminates flex with 360-degree back bracing and an aluminized coating. It’s the clearest, loudest bass yet from Kicker’s signature round subwoofer. Consumers needing more information on Kicker, Livin’ Loud or SoundGate can kick it at www.kicker.com or www.soundgate.com. 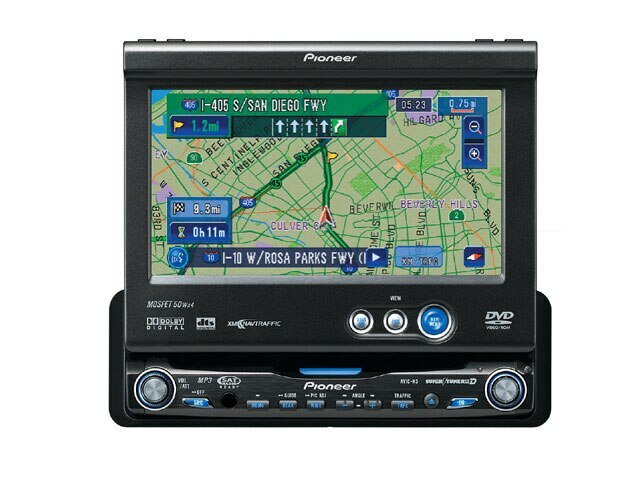 Pioneer’s AVIC-N3 single-DIN design has a 6.5-inch motorized LCD, optional XM navigation traffic, Apple iPod integration and voice control. The AVIC-N3 is an advance DVD navigation system that can fit in most cars. 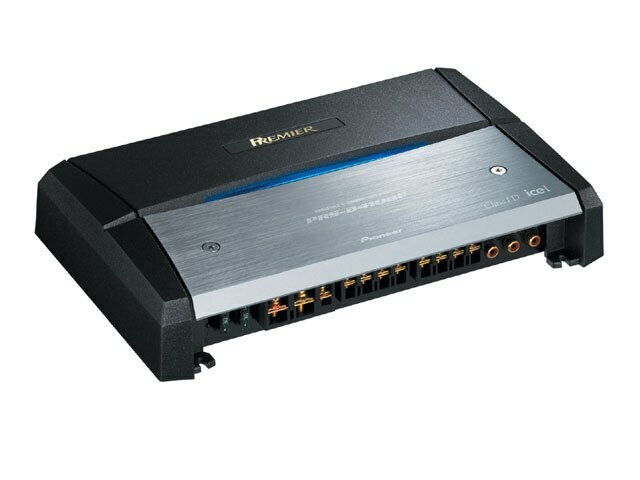 To learn more about this and other Pioneer products, log onto www.pioneerelectronics.com. MB Quart’s Reference Series amplifiers feature a low-profile small footprint design that allows them to be installed in locations where other amplifiers simply will not fit. This feature makes these Reference Series amplifiers the perfect solution for the ever-growing OEM upgrade segment. 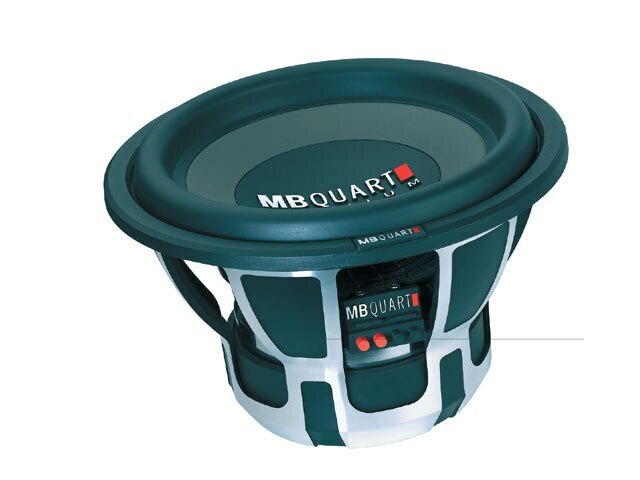 See all MB Quart products at www.maxxsonics.com. 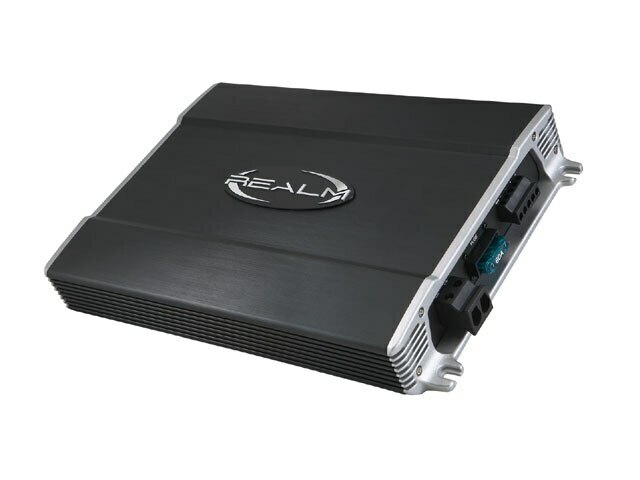 Realm amplifiers offer tremendous power output and an extensive list of features. With mono-, two- and four-channel amplifiers, the Realm amplifier family is flexible and powerful enough to handle the most extreme and complex audio and visual configurations. Become master of the Realm at www.realm-audio.com. 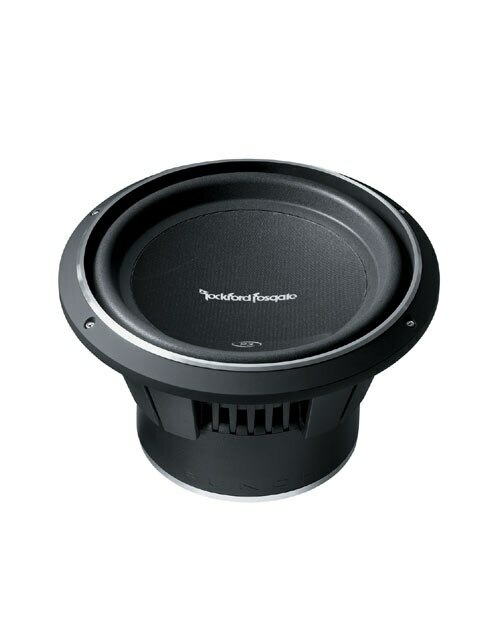 Rockford Fosgate has introduced an entirely new Punch subwoofer line-the most aggressive in the company’s history. These four lines are sure to dominate in there classes. 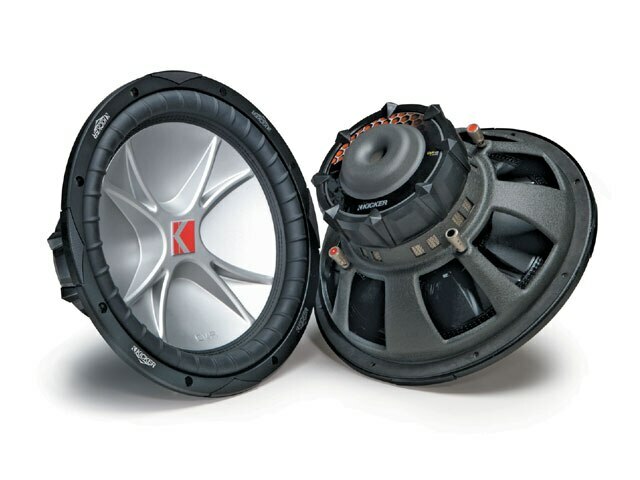 For more information, rock it on over to www.rockfordfosgate.com. 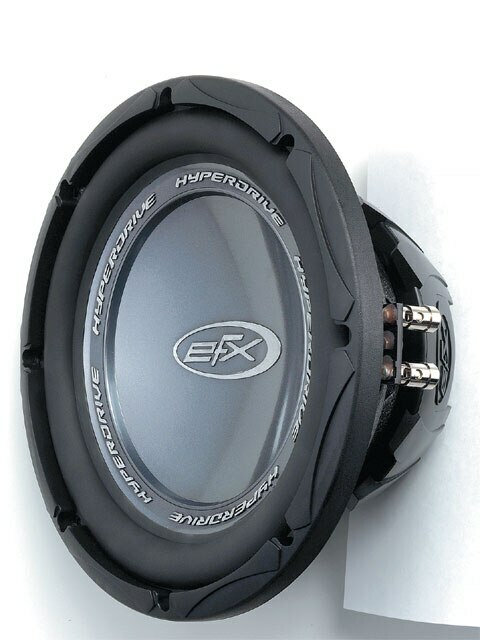 Scosche’s EFX 1-inch HD subwoofer has an injection-molded metalized polypropylene cone that’s rated to handle up to 750 watts of max peak power and 250 watts RMS power handling. Get the scoop at www.scosche.com.